Or takes a big gulp from your jugular. 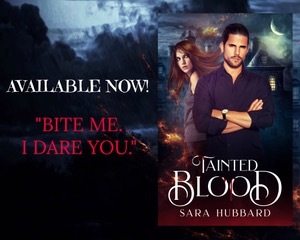 Bookstore owner Emily only experiences fantasies and supernaturals through the books she reads until she comes face to face with a vampire who bites her and then drops dead. Upon hearing about her toxic blood, two vampire brothers kidnap Emily and force her to help them kill their master in exchange for her life and the life of her sister. But the longer she stays in their company, the more she realizes she was living a life she was never meant to and she needs to embrace her new normal. Even if giving in to her destiny will cost her hundreds of supernatural enemies who threaten to send her to an early grave. This book! This book!! THIS BOOK!! 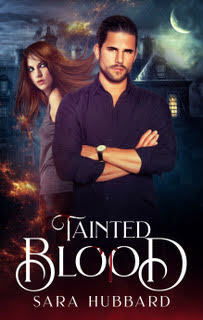 Now...I am not a fan of fantasy type books, so I was a bit skeptical when I got Tainted Blood. But within minutes I was hooked. This entire book is filled with magic. From the setting, to the characters.....by the time you are done reading, you’ll believe in the supernatural. Emily has always just existed. She’s always just been. One fateful night, that plain existence is replaced with exciting possibilities involving vampires and magic. Sebastian lost the love of his life hundreds of years ago. He also is just existing (well as much as a vampire can). Seeing Emily has him on high alert, for more than one reason. Can these two beings, completely opposite of each other, come together to stop a force so strong and destructive? I cannot say enough about Tainted Blood. 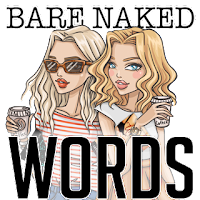 Each word has you on the edge of your seat, waiting for more. 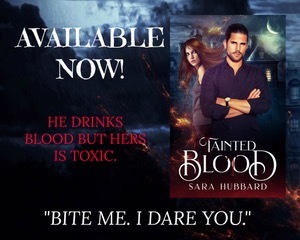 The characters in this book bring their own uniqueness to the storyline, each one fitting perfectly in the action packed story that Sara has written!! "...dammit if I don’t want very badly to be kissed right now. I lick my lips and wait for him to close the distance. His breath washes over me, and his presence feels warm though he’s room temperature. I wait a long while, at least a minute, but when I’m sure the moment is gone, I finally open my eyes, and he’s no longer beside me. I exhale, disappointed and confused. I’m glad that he didn’t do what we both seemed to want but also devastated that he didn’t." Sara Hubbard is an author of romantic fiction. Her debut novel BLOOD, SHE READ released fall 2012 and was a NEORWA Cleveland Rocks winner and a RCRW Duel on the Delta finalist. Her first contemporary novel, Beautiful and Broken was an Amazon bestseller. Sara lives in Nova Scotia, Canada with her two children (four if you count her husband and her needy labradoodle) and works as a registered nurse.